One of the biggest struggles for virtual reality is getting compelling game experiences that scream to potential customers, “this is why VR exists!” There’s a gap between virtual reality content and the way it’s advertised that doesn’t exist for more standard games, movies and television, and that makes it tougher to show the promise of the content. 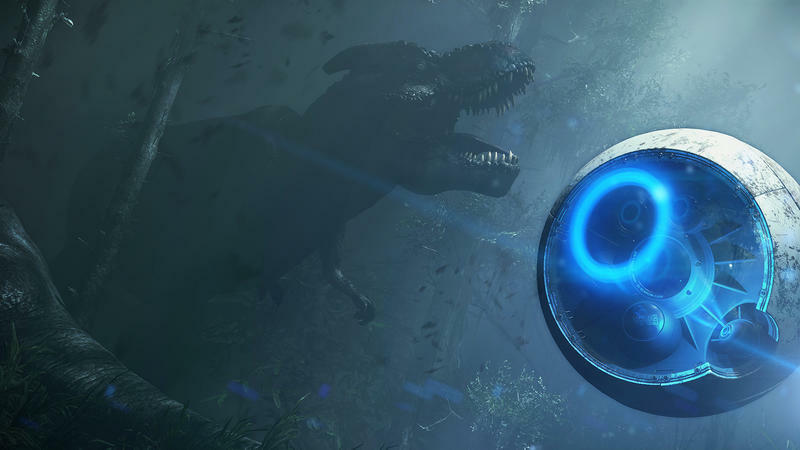 With Robinson: The Journey, developer Crytek is hoping they can do that. The game’s appeal is immediate. In seconds, we’re walking among dinosaurs. Truly massive, intimidating and great-looking dinosaurs. The sense of scale is impressive and feels like exactly the kind of experience you’d want to enjoy through a headset. Crytek’s best known for their game engine, CryEngine, and when they make a game on it, the visuals always shine. The prospect of them working on VR doesn’t promise a great game, but it should do a good job of showing off how good PlayStation 4 VR can look the way Ryse: Son of Rome showed off the Xbox One at launch. The developer didn’t provide a release date.